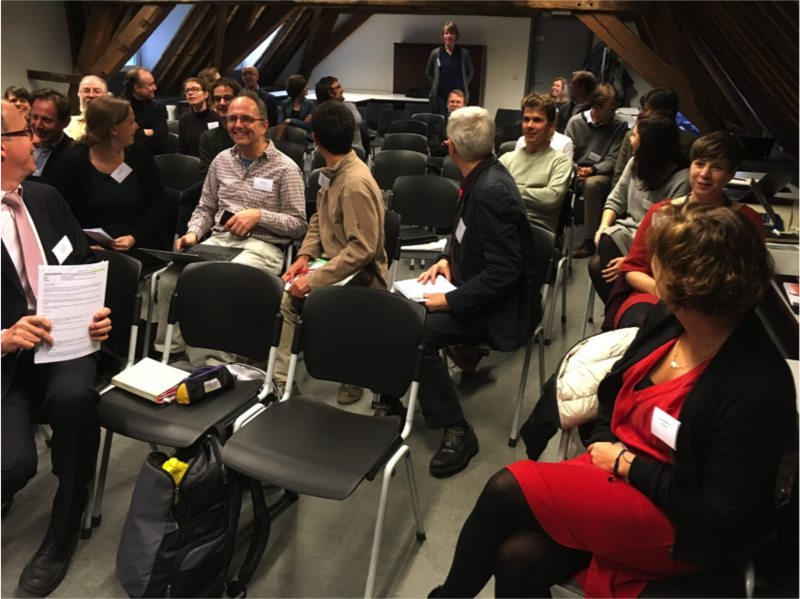 At the international workshop “(Un)taming citizen science – Policies, Practices, People”, held at KU Leuven, scholars, policy makers, and science journalists discussed and explored citizen science initiatives in Europe and Japan. As citizen science concepts and processes make inroads into science policies and institutions, they create unique opportunities for public participation in scientific research and for the democratization of science. 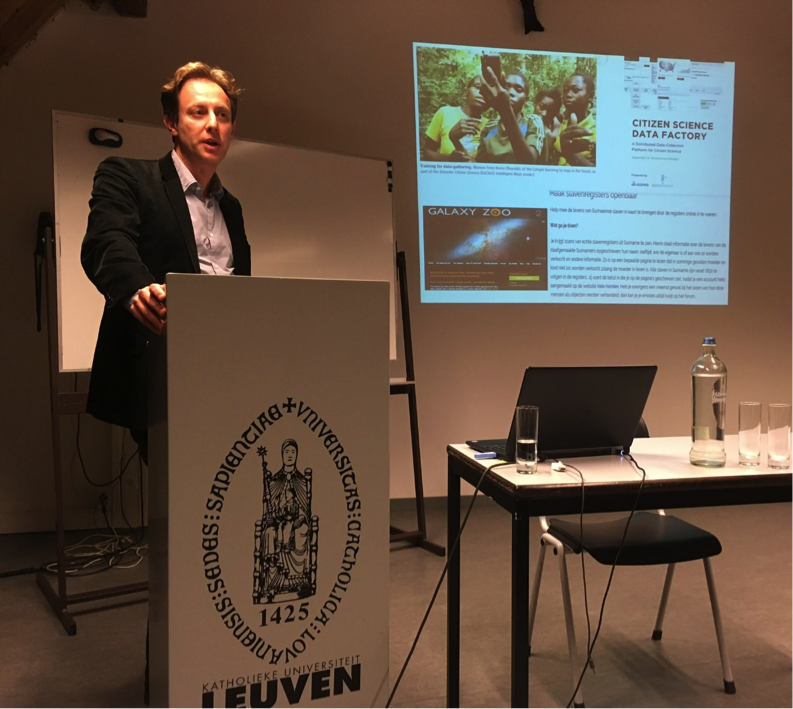 On December 4th 2017, under the roof of one of the oldest faculties of the University of Leuven, the Belgian Science and Technology in Society (BSTS) network organized a workshop entitled “(Un)taming citizen science – Policies, Practices, People.” Inspired by the global avalanche of citizen science initiatives, workshop organizers invited workshop participants to embark on a journey through different citizen science notions and practices, switching from European to Japanese perspectives and back – and hence, to discover the vastness and multiplicity of the topic. Drawing on the notion of (un)taming, which refers to the mutual (mal)adjustment of technology and the social, and which links to domestication theory in Science and Technology Studies (Callon, 1986), the workshop highlighted the buildup of support for, as well as the generation of controversy over citizen science in contemporary society. By asking Who and what is citizen science for? ; Which citizen science forms are amenable to taming, which are not? ; How is citizen science politicized? How will citizen science fare in the near future?, a joint group of European and Japanese scholars, policymakers and science journalists discussed the current state of citizen science and the road ahead. In their introduction to the workshop, Ine Van Hoyweghen (KU Leuven) and Michiel van Oudheusden (KU Leuven, SCK·CEN) pointed to the evolution of the multilayered EU policy discourse surrounding science-society issues. Drawing on Felt (2010), they argued that since 1989, the EU’s governance style has evolved from intensifying public communication efforts towards developing an Innovation Union with citizens, particularly as Europe must now be “open to innovation, open to science and open to the world” (Moedas, 2015). In this policy perspective, citizen science can contribute to a stronger anchoring of research and innovation in society, making inroads into science policy, industry and universities. But while citizen science can be “taken up” and domesticated by established science, industry and politics, it also has an unruly potential, as citizen scientists often resourcefully “work around” established institutes to create their own practices and communities (Meyer 2013). For example, in Japan, citizen scientists measuring ionizing radiation can bring communities together to deal with radioactive pollution in ways that undermine official, institutionally-sanctioned emergency policies and responses. 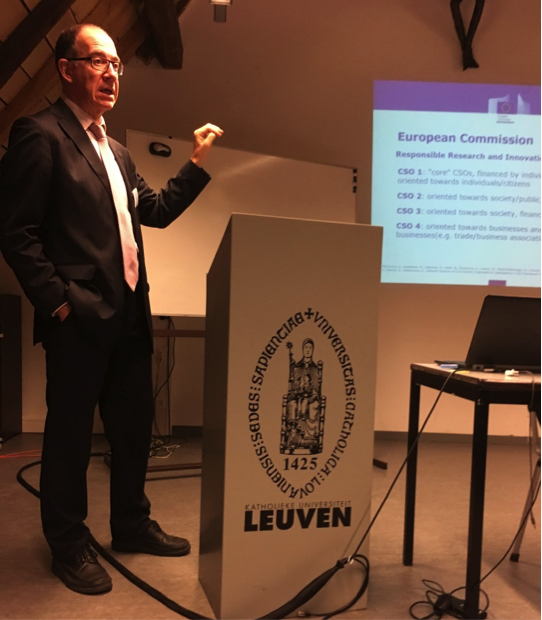 The practice of working around established institutes contrasts with present efforts made by the European Commission to engage citizens in European research and innovation activities, through its agenda of Responsible Research and Innovation (RRI). As Phillippe Galiay (DG Research and Innovation) outlined in his talk, the EC encourages researchers and citizens “to work together during the whole research and innovation process in order to better align both the process and its outcomes with the values, needs and expectations of society” (EC, s.d.). Considering this definition of RRI, it is not surprising that citizen’s engagement is one of the five main dimensions of RRI. Despite the fact that the EC takes the promotion of RRI to heart and succeeds in grounding it in research practices in areas such as health care, the EC still falls short in mainstreaming the success. Galiay concluded that more efforts are necessary to engage civil society in the design and the implementation of research and innovation processes. Nevertheless we can hold high expectations for the future of citizen science in Europe, as the 3 OS strategy (Open Innovation, Open Science and Open to the World) (Moedas, 2015) and the prospect of the ninth research framework program are proof of the EC’s commitment to engage with citizen science. Through his presentation, Galiay made clear that the EC is eager to invest in citizen science participation. But why is citizen science being promoted by the EC and how does it connect with public engagement more broadly? In his talk, Hadrien Macq (Université de Liège) entertained these questions. Drawing on empirical research, including interviews with EU policymakers, Macq situated the emergence of policy discourses on public engagement within the broader political-economic context. Confronted by a perceived legitimacy deficit and influenced by the 2000 Lisbon Agenda, which takes knowledge production and innovation as the key drivers of EU’s future, the EC took initial interest in public engagement as public dialogue. However, due to the financial crisis, research and innovation was increasingly recognized as a solution to solve economic and societal challenges. Within this setting, the RRI approach facilitated the incorporation of societal actors into research and innovation processes. Macq locates this transition as concurrent with the inauguration of the new Commissioner for Research, Science and Innovation, Carlos Moedas. His blueprint of science and innovation in the EU requires an even higher level of transparence and inclusiveness, thus attributing a substantial role to public engagement and promoting citizen science. In short, Macq pointed out an important evolution in the valorization of public engagement, from enriching decision-making towards a more active role in the production of knowledge and innovation. Science for or by citizens? 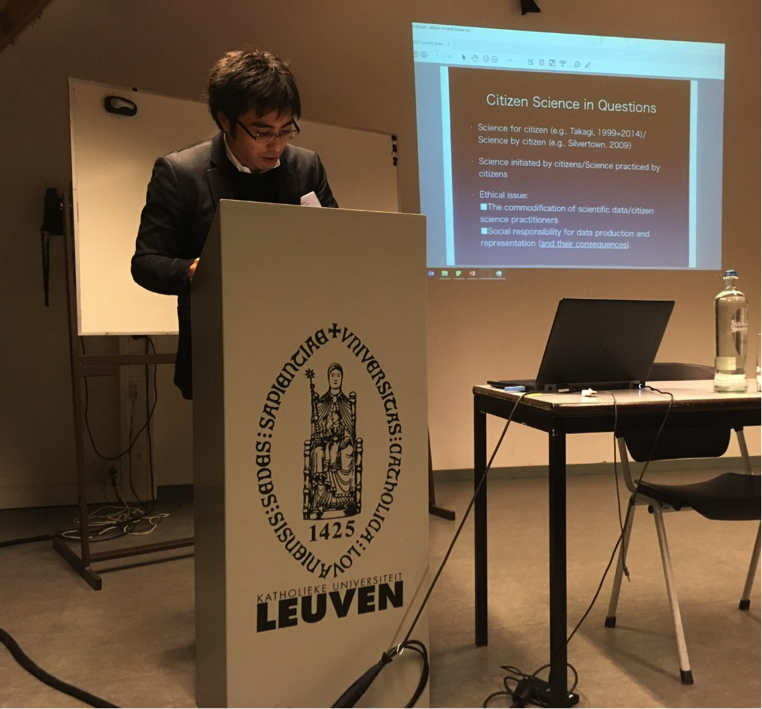 Even when crossing borders it is clear from Yasuhito Abe (Dōshisha University)’s presentation, that citizens and scientists in Japan and Europe share some common challenges and questions. For example, what do we mean by citizen science? Does it comprise science for citizens or by citizens? And how to deal with the social responsibility of data production and representation? Abe pointed out that citizen science, particularly in the field of radiation monitoring, has undergone dramatic changes over the last decades. Already after the 1986 Chernobyl accident, Japanese citizens launched projects to measure radiation. However, the advent of the Internet and new media have opened up opportunities for citizens that did not yet exist in the time of Chernobyl. Their impact on the organization of citizen science in Japan becomes clear after the Fukushima accident. Surpassing spatial and temporal boundaries, the scale of data-based networked citizen science has become ever larger. Initiatives such as Minna no Data Site form platforms for organizations to organize themselves and to increase standardization in measurement methods across Japan. While creating alternative spaces to engage with science, citizens are using their data to make scientific claims, so that we are now confronted with the question of how we should perceive these claims. Notwithstanding that citizens see their data as scientific, Abe argues that data alone do not constitute a valid scientific claim (Abe, 2015). On top of this, Abe questions whether data production or participation alone is enough to reestablish trust among stakeholders in Japan and elsewhere. Elevated and more open forms of communication are direly needed. While Abe contended that communication between stakeholders is key, the next speaker, Joke Kenens (KU Leuven, SCK·CEN), argued that a willingness to take citizen science as an opportunity to learn might also be paramount to improving relations. Citizen science initiatives in radiation monitoring are manifold and are spreading across the globe, creating a global network of grassroots measuring citizen science initiatives. They represent a diversified group of people, who are committed not only to measuring radiation in the environment and food, but also to providing information to wider publics. By taking these measurements into their own hands, they are showing us alternative ways to deal with scientific and strategic uncertainties, to create open data, to look at science as a problem-driven endeavor. In sum, they are laying down their own tracks, irrespective of official procedures and institutional constraints. As it has become ever easier to measure radiation via apps on a smartphone or computer, researchers, experts, and government officials would do well to seize the moment to engage with citizen scientists and create an environment in which all learn. Do developments in Japan suggest that all citizens are, or can become, scientists? 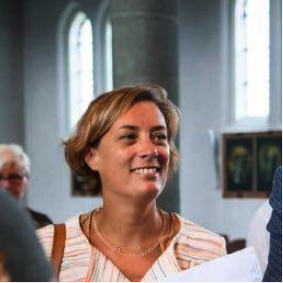 Liesbeth Gijsel (EOS Science Magazine) drew attention to this question by introducing the online platform www.iedereenwetenschapper.be (“Iedereen Wetenschapper” – “Everyone a scientist”), the only one of its kind in Flanders and the Netherlands. The platform gathers local and international citizen science projects into one location to create an overview of existing projects. Today, it counts more than 200 participants and attracts a young public (60% aged between 18 and 34). It serves as a resource for citizen scientists and interested others and seeks to inspire scientists to start their own citizen science projects. By sharing their expertise in the field of science communication, EOS has created a tool that potentially strengthens citizen science and expedites its institutional uptake. What’s next for citizen science? So what does the future hold for citizen science? 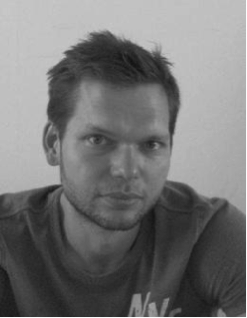 In a concluding reflection, Gert Verschraegen (University of Antwerp) provided us with a glimpse of future prospects. One could argue that citizen science is making its way into a rising number of institutions and closely aligns with RRI and Open Science policies. However, when looking deeper into the origins of citizen science, one can outline some further developments as well as tensions to expect in the coming decades. Verschraegen pointed to two traditions, which have shaped our current understanding of public involvement in science. One is the movement to democratize science, which insists on deep public engagement, initiatives taken by citizens, and tackling problems and concerns typically neglected by policymakers (Irwin, 1995). The other is the longstanding, but recently revived, tradition of conducting scientific research with the participation of volunteers who are not professional scientists. Here citizens and scientists work together, but the main focus is on answering scientific issues or gathering data. Most contemporary citizen science initiatives in Europe lean towards this second lineage, also because this tradition is better supported and funded. 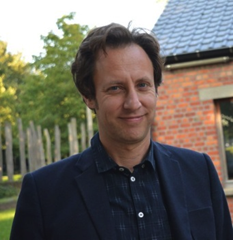 Verschraegen argues that although citizen data collection projects may yield important scientific results, science projects developed and designed in cooperation with the community have far greater potential to raise public understanding and can have a bigger socio-political impact. Acknowledging and addressing this tension between forms of citizen engagement in science will certainly help to seize the window of opportunity that is being created today. Notwithstanding the short timeframe of the workshop, it entailed an exciting journey through space, time, opportunities and hopes thanks to all those who participated. In conclusion, citizen science remains a difficult notion to define. Yet, even as we scratch the surface of what it means, or could mean, citizen science is gaining acknowledgement from different institutions, and seen as a potential bridge between science, technology and society. To face the challenges and to fully exploit the potential inherent in citizen science initiatives, we must continue to reflect on, and learn from, existing initiatives, probe their many forms, rationales, and agendas, and inquire into their possibilities and limitations. Abe Yasuhito (2015). 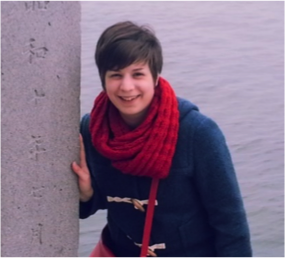 Measuring for what: Networked citizen science movements after the Fukushima nuclear accident. PhD Thesis, University of Southern California, US. Callon M (1986). Some elements of a sociology of translation: domestication of the scallops and the fishermen of St. Brieuc Bay. In: Law J (ed) Power, action, and belief. London; Routledge & Kegan Paul, pp. 196–233. Felt Ulrike (2010). Vers la construction d’un public européen? Continuités et ruptures dans le discours politique sur les cultures scientifiques et techniques. Questions de Communication 17: 33-58. European Commission (s.d.). Responsible research & innovation. In: European Commission. Available at: https://ec.europa.eu/programmes/horizon2020/en/h2020-section/responsible-research-innovation (accessed 30.1.2018). EOS Wetenschap (2015). Iedereen wetenschapper. Available at: http://www.iedereenwetenschapper.be/ (accessed 30.1.2018). Irwin Alan (1995). Citizen Science: A Study of People, Expertise and Sustainable Development. London: Routledge. Meyer M (2013). Domesticating and democratizing science: A geography of do-it-yourself biology. Journal of Material Culture 18(2): 117-134. Moedas Carlos (2015). European Commission – Speech - Open Innovation, Open Science, Open to the World. In: European Commission, Press Release Database, 22 June. Available at: http://europa.eu/rapid/press-release_SPEECH-15-5243_en.htm (accessed 30.1.2018).